In March 2015, Polk County, North Carolina was selected as one of eight Communities of Opportunities (COOs) in the country with significant potential to strengthen ties between small- and medium-sized farmers and residents with limited food access. Working with the Growing Food Connections (GFC) project team, county stakeholders have since established a steering committee that has charted a vision for the future of Polk’s food system. This brief, which draws on interviews with Polk County residents and community leaders and secondary data sources, provides information about local government policy opportunities and challenges in the food system to inform the work of the GFC steering committee in Polk County. 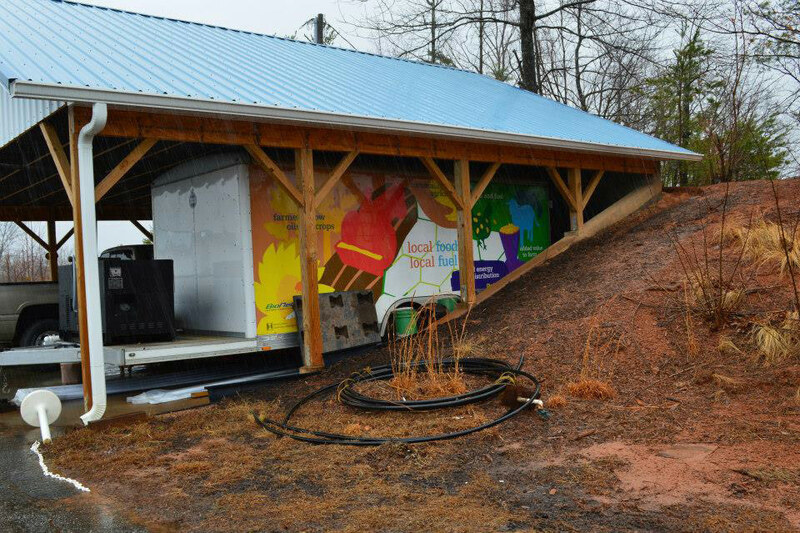 The Polk County High School farm uses by-products to make biodiesel. Polk County, located in southwestern North Carolina, is nestled between the foothills of the Blue Ridge Mountains and the edge of the Piedmont Plateau. Rugged landscapes of mountains and gorges are interspersed with rolling pastures, cultivated fields, orchards, and vineyards. Polk County residents have a deep commitment to honoring and retaining their rural legacy. Like many rural communities, the county is experiencing a time of transition, population shift, and unique emerging opportunities. Local government and civic society have, through strong joint efforts, reinforced their commitment to well-planned growth that preserves the county’s rural character while simultaneously providing opportunity for all its residents. In Polk County, small- town charm is coupled with immense economic opportunity that stems from its low population density and location in the greater Piedmont Atlantic Megaregion. A world-class equestrian facility attracting tourists from across the globe now augments a long history of raising horses for fox hunting and trail riding. Partnerships in a larger regional network support focused, strategic investment in the immediate local economy. Local government support for agriculture and food as a form of economic development has provided a similar outlet for protecting tradition while creatively expanding opportunity for long-time and new Polk County residents. In rural areas, residents who are food insecure are often not visible to policymakers and planners due to both the low- density population and individuals’ reluctance to appear to need assistance. Poverty in rural Polk County is often tucked away in remote corners, where local government officials and even social-service organizations are not aware of the challenges residents may face, and residents may not be willing to share their concerns.8 Addressing persistent poverty in communities with tight-knit connections requires sensitivity to communities’ perceptions and realities. Residents of Polk County have a long history of taking care of their food-insecure residents. Farmers have been known to drop off produce to the food pantry before the sun rises, preferring to keep their donation (and identity) unacknowledged. An active gleaning group provides fresh produce during harvest season to diversify the food options available through emergency food programs. Churches, the public school, and the Boy and Girl Scouts programs also provide food through food drives for pantries.12 Expanded cold-storage facilities in the county have improved emergency food providers’ ability to stock and distribute perishable food items such as meat, produce, milk, and eggs. Thermal Belt Outreach, an organization that serves all of Polk County, provides emergency food access to families in need. The organization operates the only food pantry in the county and has seen a steady increase in need for food-assistance services in recent years.12 In addition to operating the food pantry and other services, the organization partners with the Polk County School District on a program to provide food for students and families over the weekend. Students at risk of not having a nutritionally adequate diet receive a bag of food for the weekend. The bag of food is placed in students’ lockers when class is in session, to reduce stigma.13 Although the reach of Thermal Belt Outreach and other organizations is large, the need for emergency food assistance exceeds available assistance. Emergency food-service providers are also unable to serve those food-insecure residents who are reluctant to seek assistance. Much of Polk’s agricultural land consists of woodland (35.4%) and pastureland (25.2%), with only slightly under one-third of the land being cropland (29.5%) and about 9.9% dedicated to other uses.15 Pastureland is dedicated to 58 beef cattle farms, two dairy cattle farms, and eight sheep and goat farms, in addition to a large equine industry.18 Polk County farmers are currently expanding their diversified fruit and vegetable production,thanks in part to the efforts of the Agriculture and Economic Development department. It is curious that although Polk County lost 19 farms between 2007 and 2012, approximately 3,100 more acres of land were put under production during the same years.15 Similarly, the average size of Polk County farms jumped from 68 to 83 acres. In other places such as the Midwest, this could point to farm consolidation, often with corporate ownership over commodity crops. Given the small size of Polk County farms, however (even with the acreage increase), this could point to expansion of farms due to increased market opportunities generated from the growth in farmer’s markets, creation of a food hub, and other direct-to-consumer markets. contributed greatly to Polk County’s economy. The equine industry in Polk County is large and quickly expanding. In 2009, Polk County was home to 3,850 equine animals worth a combined value of $23,395,000.20 Known as Tryon Horse Country, the beautiful scenery attracts trail riders, fox hunters, and horse competitors, which bring tourists who contribute significantly to the county’s economy. The equine industry also supports related equine businesses such as veterinarians, barn builders, farm-equipment sales, truck and trailer sales, and many more. In 2010, the equine industry was believed to have a $15 million direct impact on the Polk economy.21 The equine industry quickly expanded when the Tryon International Equestrian Center, a $100 million equestrian center and resort, opened in 2014. Estimates suggest that the center has contributed an estimated $9.2 million directly to the county’s economy in 2015 and created an estimated 115 jobs locally, with rapid expansion expected.22 The equine industry, and particularly trail riding, while not directly tied to food production, relies on farmland and open-space preservation to retain and attract the equine industry. Opportunities abound for connecting food production with the equine industry. Although Polk County farmers experience barriers, public and private agencies have banded together to uniquely address some of farmers’ key challenges. Polk County was the first county in the state of North Carolina to create, through public funds, an Agriculture Economic Development (AED) office staffed with a full-time coordinator. The Agricultural Advisory Board, an advisory board to the County Commissioners, supports the office.24 This innovative local government action is a signal that agriculture is a valuable part of Polk’s economy and community. By building on the county’s many successes and uniting the agriculture economic-development activities with basic human-needs services, Polk County is well poised to serve as a nationwide example of how low-density rural areas can band together to prime their own economy in a way that provides opportunity for all residents. Growing Rural Opportunities united with Polk County Agriculture Economic Development and Groundswell International to form a new initiative, Grow Food Where People Live. Formed in 2015, the initiative is “designed to improve the health, food security, and economic wellbeing of people in Polk County by supporting them as they grow their own food, learn valuable skills, and organize food-buying clubs to improve their household economies and start market gardens and food-related enterprises to earn more income.”28 The initiative assists in the creation of micro-farms that include gardens, fruit trees, shrubs, and handicap-accessible garden beds located next to low-income housing units. These micro-farms supply large quantities of fresh produce to families with limited food access, while serving as places of learning and community building. In addition to the educational component, Grow Food Where People Live also focuses on economic development through food-based small businesses, partnering with participants to develop small businesses that increase economic independence.29 Both Growing Rural Opportunities and Grow Food Where People Live will serve as entities to unite the agriculture economic-development work with broader activity to address rural poverty and opportunity. Polk County is fortunate to have a local government committed not just to protecting farmland but to actively supporting farming as a viable economic enterprise. Their county commissioner’s office is dedicated to decreasing persistent poverty (thus indirectly increasing food security) for Polk’s low-income residents.12 Polk County has five local government entities: one county government, three municipal governments (Tryon, Columbus, and Saluda), and one special-purpose government (Polk County School District).33 These local governments rely heavily on the Office of Agriculture Economic Development to directly interact with agriculture, but local government public policy also indirectly affects agriculture and food access in numerous ways. Polk County’s award-winning 20/20 Vision Comprehensive Plan, adopted in 2010 and undergoing updates in 2016, clearly references the importance of Polk’s rural heritage, wild open lands, and agricultural working lands. Sections of the plan reference the importance of agriculture, viticulture, and the equine industry to the county’s economy and sense of place. 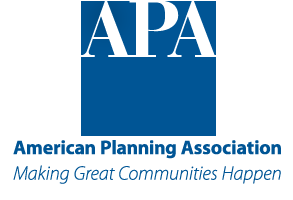 The plan serves as a blueprint for future government action, a bequest taken seriously by local government and residents: plans for economic development, agriculture economic development, transportation, and even requests for outside grant money all clearly align with the 20/20 Vision plan. The community- engagement part of the plan was executed with respect and importance, which has clearly translated to how enthusiastically Polk County residents and food-systems stakeholders uphold and reference numerous aspects of the plan. Polk County also has an economic development policy resulting in an Economic Development Strategic Plan that addresses multiple parts of the food system, including agriculture and food access. The plan aligns with the 20/20 Vision Plan and seeks to create a competitive environment for agriculture and farming. Additionally, the plan addresses barriers to gainful employment through the lens of poverty, food insecurity, and transportation shortcomings.34 The plan’s suggestions for partnering with the Department of Social Services and regional health forums to address employment signal a desire to work broadly across the food system. In addition to the agriculture districts, Polk County has several other policies that directly and indirectly affect farmland. As part of the county comprehensive plan, no land-use regulations are enforced for active farms, enabling farmers to have full control over buildings and land use on their farms.21 The County’s Subdivision Ordinance, adopted in 2011, requires an environmental-impact statement for development if the environmental-assessment rating totals a specified number of points. Land that increases the number of points includes land adjacent to a farmland preservation area, land adjacent to land trust or conservation properties, and if 33% or more of the project includes prime farmland soils.36 This policy guarantees that Polk County will retain its rural landscapes. Polk County, and the towns of Tryon and Columbus, has an occupancy-tax policy with potential to indirectly affect agriculture and farming. The 3% tax on overnight stays is used to promote travel, tourism, and tourism-related expenses and, in the case of Columbus, can be used for their general fund. County funding from this tax primarily supports the Polk County Tourism Office. In 2013, this tax resulted in $76,156 generated at the county level, with Tryon and Columbus receiving $16,293 and $19,882, respectively.37 The development of the Tryon International Equestrian Center caused the occupancy-tax fund to spike significantly, resulting in $117,868 in county funding alone in 2015 and continued projected growth with the addition of a resort complex under development.38 In 2013–14, the Polk County tourism budget was $55,520, and by the 2015–16 year, the budget was $160,599. This growth allowed Polk County to modify their part-time tourism position to a full- time director’s position and to add two part-time positions, all funded by the occupancy tax.39 Agritourism efforts of all kinds in Polk County, but particularly wineries and microbreweries, could benefit significantly from funding generated from an increasing occupancy-tax fund. The Polk County Board of Commissioners has provided both steady and one-time strategic funding for food-systems projects. The ongoing funding of a full-time staff person in the Office of Agriculture Economic Development has provided steady leadership in the Mill Spring Agriculture Center and generated grant funds that continue to support food-systems work. The County Board of Commissioners also allocated three years of funding to Polk Fresh Foods, Polk’s Food Hub. This funding, totaling $122,000 over three years, served as seed money to start the initiative in 2011. Polk Fresh Foods provides a market for local produce, value-added products, and proteins from Polk County farmers. In addition to the seed money they received, Polk Fresh Foods has shown progressive growth in sales. In the initiative’s first year (2012), they had $53,000 in sales. 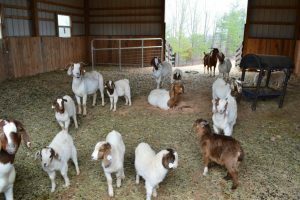 By 2014, the sales increased to $307,000, bringing it to a point of viability that allowed it to be merged with Sunny Creek Farms and run as a private entity in 2015.41 Polk Fresh Foods creates a market for numerous small growers, making the county’s investment in the hub a direct investment in the agriculture economy. Gifted with a resilient entrepreneurial spirit, thriving rural communities, and a dedication to embracing opportunity, Polk County is uniquely positioned to become a leader among rural communities seeking to embrace agriculture as a way to build their economy and create healthy communities. Key ideas for future policy and implementation efforts to strengthen food systems are outlined below. With a population of about 20,000 across the whole county, Polk County is a very rural community. Rather than allowing the low population to hold the community back from enacting healthy community-planning methods seen in other communities, Polk has embraced its rural heritage and given momentum to an existing creative and entrepreneurial spirit. The county has created a loose regulatory environment in which residents are able to experiment and build businesses. Nowhere is this more apparent than in Polk County’s support of the Mill Spring Agriculture Center and the Office of Agriculture Economic Development. Polk County has the opportunity to expand this “can-do” attitude of governing and policymaking to encompass food-security efforts, focusing on locally rooted solutions, the informal economy, and community connections. The proven track record of using this approach to strengthen agriculture can be similarly invested in ensuring all Polk County residents are food secure by connecting the food economy to workforce development, educational opportunities, and civic society. Female farmers are traditionally underrepresented in the farming field, yet almost half of all principal farm operators in Polk are women. Nationally, traditionally underrepresented farmers operate smaller farms, with a focus on fruit and vegetable production, specialty crops, diverse herds, alternative marketing strategies, and sustainable practices, similar to those in Polk County.43 Polk County offers the supportive community that many women farmers desire. Building on educational networks and communal activities such as tool-share programs and group workdays has proven effective in other states for supporting women and traditionally underrepresented farmers. Supporting and building on Polk’s networks and educational programs will continue to empower underrepresented and underserved farmers in Polk County. There is also opportunity for Polk’s small farms to be ideal locations for incubator farms, apprenticeships, and other programs that boost underrepresented farmers who are starting agriculture careers. In addition, the USDA Farm Service Agency offers special micro-loan and credit programs for women and minority farmers, particularly women and minority farmers engaged in organic, sustainable, specialty, or direct-to-consumer production as is practiced in Polk County.44 Technical support to help Polk’s women and minority farmers take advantage of these programs may bring new credit opportunities to many Polk farmers. Polk County has an opportunity to strategically direct new revenue from their growing tourism sector in a way that ensures that all Polk County residents benefit. For example, occupancy- tax money, designed to go specifically to tourism, can be used to bolster Polk’s growing agritourism industry. Investing in processing and infrastructure for wineries, breweries, farm stores with value-added goods, and artisanal butcheries adds to the agrarian charm of Polk County, keeps visitors in the county longer, highlights entrepreneurial activities, and directly impacts farm viability. Additionally, both Polk residents and visitors value the scenic agricultural and natural landscapes of Polk County. A percentage of tax revenue from increased tourism could also be diverted to a fund for preserving farmland and investing in food- system infrastructure. 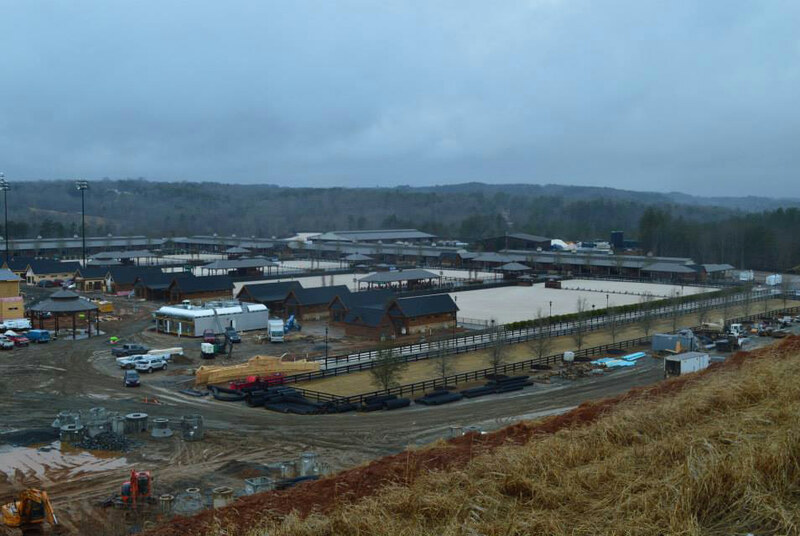 One of Polk’s growing tourism engines is the Tryon International Equestrian Center (TIEC). The TIEC has the potential to increase revenues for Polk County across the board. The preliminary economic impact statement projected that approximately $9.2 million was added to the local economy in the first year of operation.22 Small businesses, especially service and retail businesses, can benefit greatly from this injection of tourist money. The TIEC could also have a direct impact on Polk County employment by requiring a percentage of hires to be Polk County residents or by investing in job-training programs to prepare Polk County residents with the right skills for TIEC jobs. Currently, few if any farmers grow enough to sell directly to Polk’s hospitals, schools, and local government entities. The Agriculture Economic Development office has facilitated aggregation to allow farmers to be able to sell to restaurants both locally and in the broader region. Continuing to grow the number of farmers selling to Polk Fresh Foods, coordinating key crops among multiple farmers, and coordinating with Polk’s institutions to adopt supportive local purchasing policies could expand a local market. Community stakeholders speak with fondness of the rich history of food-based traditions in Polk, including community canning days, making molasses, and beekeeping. Continuing to celebrate, preserve, and share these traditions is just as vital as preserving farmland and rural landscapes. Activities that foster community cohesiveness, build relationships, and actively incorporate all residents contribute to decreasing food insecurity, especially in rural communities.45 Such events can also help build cohesiveness among long-time residents and newcomers in communities that are experiencing influx of new residents, as Polk expects in the future. Polk County has many of the characteristics that new landless farmers seek, and many senior farmers are ready to rent or sell land. The county has also attracted retirees who are interested in farming post-retirement. Continuing to engage in farmer-to-farmer conversations about farm transfer is critical for the future of Polk County farming, particularly as potential land speculation from the Tryon International Equestrian Center could beckon senior farmers to sell to those planning non- farm uses. Fortunately, Polk has a strong Office of Agriculture Economic Development that is tightly intertwined with the farming community, to facilitate these discussions. Because of the tight-knit farming community, Polk is well situated to experiment with innovative land-tenure techniques, and attract out-of-town young farmers who could strengthen land-preservation movements and contribute to Polk’s overall economy (informational resources are available from American Farmland Trust at www.farmland.org). Information in this brief is drawn from multiple sources. Quantitative data sources include the 2014 American Community Survey (ACS) five-year estimates and the 2012 US Census of Agriculture. Qualitative data include 15 in- depth interviews with representatives of various sectors of the food system as well as Polk County policymakers and staff. Interviewees are not identified by name but are, instead, shown by the sector that they represent, and are interchangeably referred to as interviewees, community leaders, or stakeholders in the brief. Interviews were conducted from April 2015 to March 2016. Qualitative analysis also includes a review of the policy and planning documents of Polk County, which were reviewed for key policies and laws pertaining to the food system, and a review of the minutes of the Growing Food Connections steering-committee meetings. Association, for their support. This work was funded by a grant from the National Institute of Food and Agriculture (NIFA Aware #2012-68004-19894). 1 Interview with local government representative in Polk County (ID 84), 2015. Carolina (Washington DC: United States Census Bureau, 2015). 3 The townships are Cooper Gap, White Oak, Columbus, Green Creek, Tryon, and Saluda. Office of Economic Development, 2016). 5 Interview with consumer advocate representative in Polk County (ID 81), 2015. 6 K. Hodgson, S. Raja, J. Clark, and J. Freedgood, “Essential Food Systems Reader,” In Growing Food Connections (Buffalo: University at Buffalo, 2013). 7 J. T. Eshleman, M. Schroeder-Moreno, and A. Cruz. 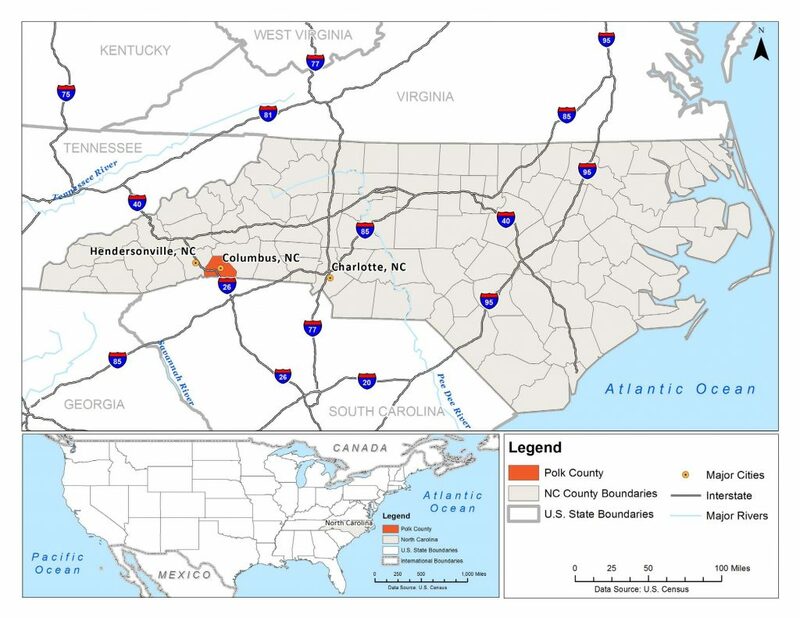 The Western North Carolina Appalachian Foodshed Project Community Food Security Assessment (Raleigh, NC: Appalachian Foodshed Project and North Carolina State University, 2015). 8 Interview with local government representative in Polk County (ID 83), 2015. 9 Economic Research Service, “Students Eligible for Free Lunch, Polk County,” (Washington DC: US Department of Agriculture, 2010). 10 Interview with local government representative in Polk County (ID 80), 2015. 11 Interview with local government representative in Polk County (ID 77), 2015. 12 Interview with consumer advocate representative in Polk County (79), 2015. 13 Thermal Belt Outreach Ministry, “Feed-a-Kid Program,”http://www.tboutreach.org/feed-a-kid-program.html. 14 United States Department of Agriculture, Census of Agriculture: Farms, Land in Farms, Value of Land and Buildings, and Land Use: 2012 and 2007 (Washington DC: National Agricultural Statistics, 2012). 15 United States Department of Agriculture, Census of Agriculture County Summary Highlights (Washington DC: National Agricultural Statistics, 2012). 16 United States Department of Agriculture, Census of Agriculture Net Cash Farm Income of the Operations and Operators (Washington DC: National Agricultural Statistics, 2012). 17 United States Department of Agriculture, Census of Agriculture Operator Characteristics (Washington DC: National Agricultural Statistics, 2012). 18 United States Department of Agriculture, Census of Agriculture: Farms by North American Industry Classification System (Washington DC: National Agricultural Statistics, 2012). 19 Holland Consulting Planners, Polk County 20/20 Vision Plan Update (Polk County, NC: Polk County Board of Commissioners, 2016). 20 Equine Study Executive Committee, Agricultural Advancement Consortium, North Carolina’s Equine Industry (Raleigh, NC: The Rural Center, 2009). (Polk County, NC: Polk County Board of Commissioners, 2010). 22 I. Ha, A Preliminary Economic Impact Study of Visitors at Tryon International Equestrian Center (Mill Spring, NC: Western Carolina State University, 2016). 23 Interview with local government representative in Polk County (ID 82), 2015. 24 Polk County Farms, Polk County Agriculture Economic Development, http://polkcountyfarms.org/ag-economic- development/. 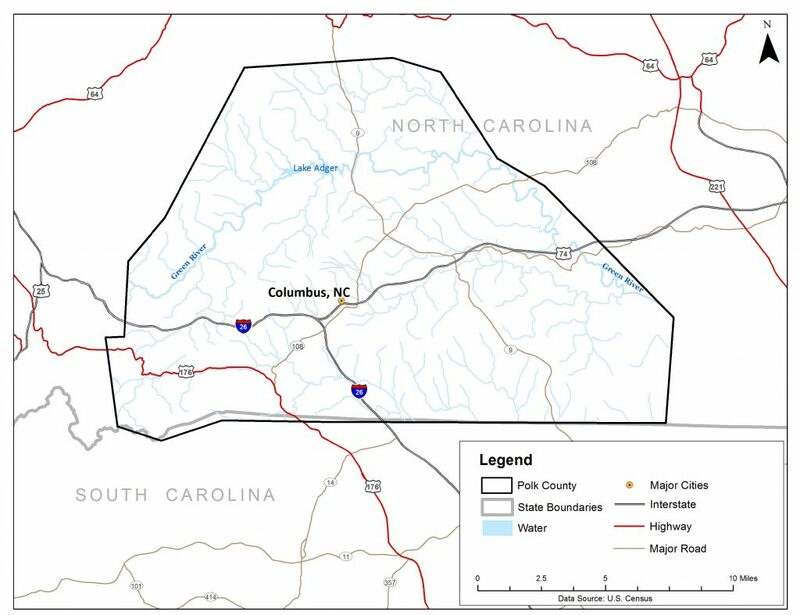 25 Polk County Office of Agriculture Economic Development, Agricultural Economic Development, Travel & Tourism, Economic Development Annual Report, Polk County, North Carolina: FY 2015-2016 (Columbus, NC: Polk County Office of Economic Development, 2016). 26 B. De Bona, “GRO to Nurture Farmers, Local Food Movement,” Times-News, Blue Ridge Now, April 1, 2016. 27 Growing Rural Opportunities, “About Us,” http://growrural.org/about-us/. 28 S. Klein, “Grow Food Where People Live Program Expanding,” Tryon Daily Bulletin, March 24, 2016. 29 B. Kerns, “Developing Small Businesses Based Around the Local Food System,” Tryon Daily Bulletin, September 13, 2016. 30 C. Barber, “PCCF Funds High School Farm Interns,” Tryon Daily Bulletin, January 12, 2012. 31 Polk County Community Foundation, “Competitive Grants,” http://www.polkccf.org/index.php/grants/for-organizations/ competitive-grants. 32 Polk County Board of Commissioners, “Public Hearing and Regular Meeting” (Columbus, NC: Polk County Board of Commissioners, 2015). 33 United States Census Bureau, Census of Governments: Local Governments in Individual County-Type Areas (Washington DC: United States Census Bureau, 2012). 34 D. Dodson, Economic Development Policy and Strategic Plan for Polk County, NC (Polk County, NC: Polk County Board of Commissioners, 2014). 35 Polk County Transportation Authority, Community Transportation Service Plan (Polk County, NC: Polk County Transportation Authority, 2015). 36 Polk County Board of Commissioners, Subdivision Ordinance of Polk County, NC. Article 5 (Polk County, NC: Polk County Board of Commissioners, 2011). 37 Magellan Strategy Group, Profile of North Carolina Occupancy Taxes and their Allocation, (Asheville, NC: Magellan Strategy Group, LLC., April 2016). 38 S.Q. Hughes, Comprehensive Annual Financial Report of Polk County, North Carolina, (Columbus, NC: Polk County Government, 2015). 39 Polk County Board of Commissioners, Polk County NC Annual Recommended Budget (Polk County, NC: Polk County Board of Commissioners, 2016). 40 D. Scherping, “Saluda-PCHS Farm,” http://inside.polkschools.org/announcements. 41 L. Justice, “Polk Fresh Foods Plans to be Self-Sufficient Next Fiscal Year,” Tryon Daily Bulletin, June 17, 2015. 42 Sustainable Community Innovation Project, PolkFresh TradePost Project: A Strategy to Implement Polk County’s 20/20 Vision Plan for Sustainable Community Development (Mill Spring, NC: Sustainable Agriculture Research & Education, 2011). 43 N.E. Kiernan, M. Barbercheck, K.J. Brasier, C. Sachs, A.R. Terman, “Women Farmers: Pulling Up Their Own Educational Boot Straps with Extension,” Journal of Extension 50.5 (2012). 44 United States Department of Agriculture, Minority and Women Farmers and Ranchers, http://www.fsa.usda.gov/programs-and-services/farm-loan-programs/minority-and-women- farmers-and-ranchers/index. 45 L.W. Morton, E.A. Bitto, M.J. Oakland, and M. Sand, “Solving the Problems of Iowa Food Deserts: Food Insecurity and Civic Structure,” Rural Sociology 70.1 (2005): 94–112. Recommended citation: Whittaker, Jennifer, and Samina Raja. 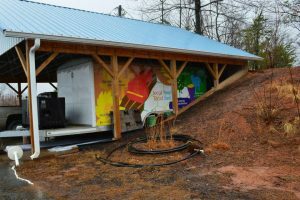 “Building on History and Tradition: Community Efforts to Strengthen Food Systems in Polk County, North Carolina.” In Exploring Stories of Opportunity. Edited by Samina Raja. 11 pages. Buffalo: Growing Food Connections Project, 2017.